Before you do anything to try to deal with a bed bug problem yourself, read these “Dos” and “Don’ts”. There are many things that seem logical, but will actually make things worse. And there are two things you must not do - no matter what. Don't use a bed bug bomb or fogger! Don’t sleep in another room to avoid bed bug bites. Do de-clutter your home as much as possible. Clutter provides bed bugs with lots of attractive hiding places. Don’t store anything under your bed and keep things off the floor as tidy as possible. The neater things are, the easier it will be to search out and destroy your unwanted guests. Don’t “escape” to a friend or relative’s house. Bed bugs are notorious hitchhikers and you can easily take the problem with you. If you think you can wait it out somewhere else and starve them out – you’re wrong. Bed bugs have been known to survive without feeding for as long as 18 months. Unless you are willing to live away from home for more than a year and a half, chances are they will be waiting for you when you come back. Do make an educated bedbug battle plan. The fact is you are going to have to stick it out and fight. Successfully defeating bed bugs requires an integrated pest management approach involving multiple steps. Whether you are turning to an exterminator for expert help or doing it yourself, you need to understand what your treatment options are and put together a solid strategy to win the war. Don’t throw out the bed – or anything else for that matter. So many people think that having bed bugs means they have to get rid of their bed and it’s just not true. If fact hauling that bed bug infested mattress to the curb is likely do much more harm than good. You can spread the infestation throughout the house, not to mention that the bed bugs that remain will make themselves just as much at home on a new mattress as on the one you threw out. So save yourself the time, money and hassle and keep the one you have, but take steps to control the bed bug population that has made itself home there. Note: If you do dispose of anything, please read the instructions for disposal of bed bug infested items. Do protect your bed with a mattress encasement. By encasing the mattress (and box springs), you trap the bedbugs inside and keep them from biting you. They also make it easier to spot bedbugs that appear from other hideouts making it much easier to kill them. Even if you don’t have a bed bug problem, mattress encasements are one of the best ways to prevent bed bugs from making themselves at home in your bed if you come into contact with them and will make it much easier to spot a potential infestation early on which makes it much easier to get rid of them. Read more about choosing mattress encasements, how they work, and how to care for them here. Don’t "Do It Yourself" unless you truly have no choice. If you are on an extremely tight budget and there is no way you can afford professional help, make sure you understand the information about integrated pest management in the bed bug control section and learn how to create an action plan that will work. Do seek the help of a licensed exterminator. If you can at all afford it this is the way to go. Choose one who has specific experience with bedbugs. You will save time (and maybe even money) in the long run. Learn more about choosing the right exterminator and how to work in cooperation with them for best results. Don’t use bedbug repellents to try to stop the bites. Do remove bed bugs by vacuuming - often. Vacuuming is one of the most effective ways of removing bed bugs. Vacuum your floors and all the nooks and crannies of your furniture frequently – especially in areas where bed bugs are known to hide. 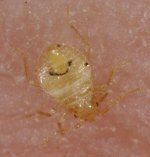 Heat treatments can be very effective at killing bed bugs and their eggs, but they are not a DIY project – ever. Seriously folks, this can get you killed - and it just won't work. Countless house fires and injuries have been attributed to people trying to kill bed bugs themselves with heat. These types of treatments require specialized equipment which needs to be operated by licensed professionals. I know this seems obvious, but it’s easier said than done. Scratching will only make them worse and can lead to infection. You’ll find some great bed bug bite treatment tips including what really gets rid of the itch here. By the way, if you haven't read the basic bed bug dos and don'ts - do that now!